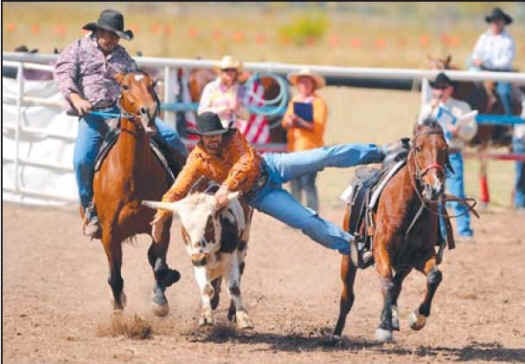 YOUR cover photo of a tall cowboy hurling himself on to a small steer and grabbing his horn ( Wrestlemania at Bowen River, 11/ 6) clearly shows what a cruel and one- sided contest rodeos are. How frightening and painful it must have been for this bewildered little steer as his neck was violently twisted and he was abruptly slammed to the ground. Competitors who sustained bruises and painful injuries deserved everything they got. The inoffensive and unwilling animal contestants didn’t.